Click over to our Events and Schedules tab to see what events are on for 2019. 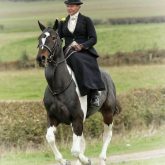 Lottie has been involved with side saddle for many years, formerly Secretary of the Area, she is also an Instructor and Judge. Zoe is now in her third year as Secretary of Area 12 SSA. A keen rider from the age of 5, Zoe also owns and runs Equestrian Life Magazine. Can frequently been seen at shows grooming for her Daughter. 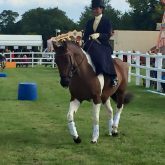 Barbara is a huge supporter of Side Saddle, a newly qualified Judge herself, she can be regularly found out and about at shows around the region. 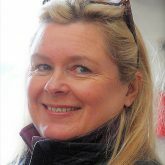 One of our keen Area Members, enjoys a mix of side saddle competing and pure dressage and eventing. 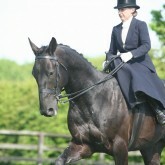 The Side Saddle Association was formed in 1974 and currently has over 1200 members. The aim of the Association is to keep alive the art of side saddle riding, promote its popularity and provide education and instruction. Welcome to the Area 12 SSA Website. The UK is divided into areas. Area 12 is made up of Derbyshire, Leicestershire, Nottinghamshire and Lincolnshire. 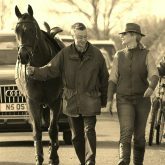 We hold regular shows, clinics and events, and have members who hunt, team chase and compete in everything from showing to dressage and show jumping. 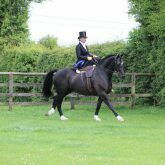 This website is for all Area 12 members, and anybody with an interest in riding side saddle. Help us to make it a useful and informative site by submitting your ideas, news, results, photographs and adverts to [email protected] Further information is contained on the following pages. Venues and a list of Area 12 officials are listed on the Contacts and Links page. Farm, Buxton, Derbyshire SK17 8EY. 07813 242511. Derbyshire DE4 5DA. 07878 348631. NG19 8RY. 01623 748494/07764 951208. Seagrave, Leicestershire LE12 7BG. 07771 984823.